You may wait a long time before one of these gliders comes to a stop. 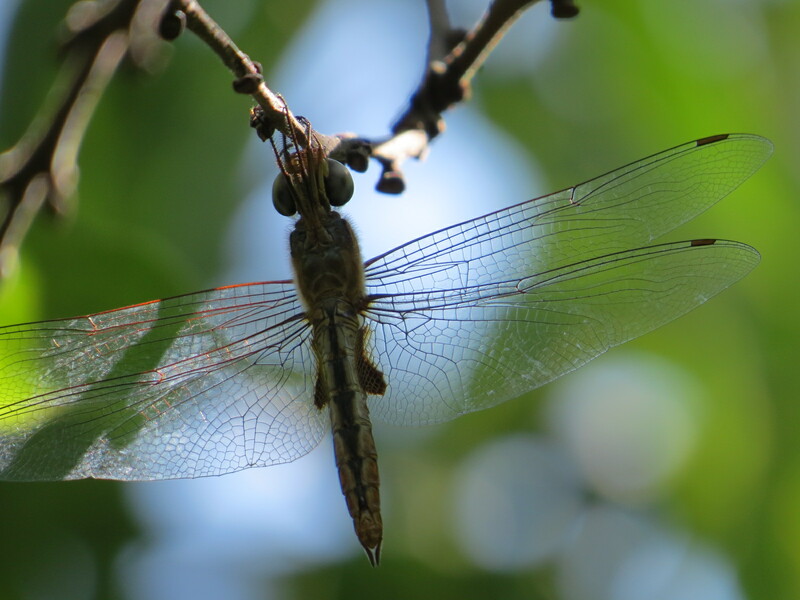 Both the Spot-winged (Pantala hymenaea) and Wandering Glider (Pantala flavescens) dragonflies seem to spend their whole working day in the air. 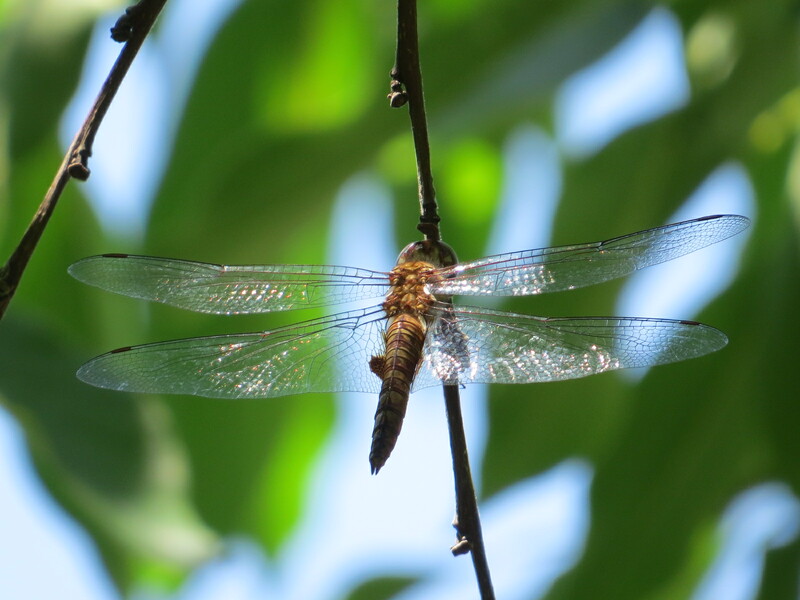 These are the constantly moving yellow to golden dragonflies that are now being seen above our meadows and grassy swards. Their zig-zaggy dance is hypnotic. I think we have more Spot-winged than Wandering, but I don’t net the critters out of the air, so I can’t say for sure. Whichever, Green-Wood has been a good place for them recently. A dozen or more at a time, clearly onto something edible which we can’t even see. And if you look in the distance and the light is right, there are even more. At eye-height or above, or lower. Moving, moving moving. Both of these Pantala species are migratory.